We can't help but cringe at the notion of 'product integration' efforts most of the time, particularly when it comes to movies and sports. That's because as often as not, the placement efforts seem contrived. 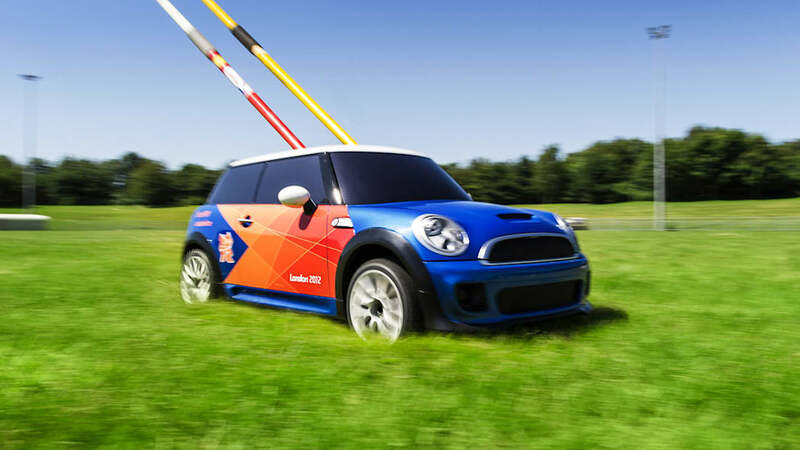 And while the notion of using a Mini Cooper to retrieve thrown javelins, hammers, shot and discuses at the London Olympics might not seem like the world's most natural pairing, we can't ignore the inherent cheek and charm in using radio-controlled cars for an otherwise unremarkable chore. 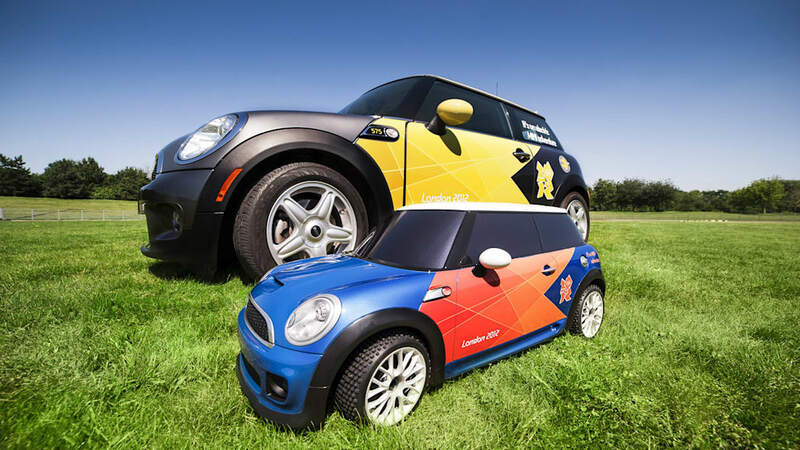 Dubbed "Mini MINI," these three electric R/C Cooper hatchbacks are rendered in about 1/4-scale – necessary to ensure adequate payload capacity for up to eight kilos (nearly 18 pounds). That's enough carrying capacity to lug around a hammer, a discus, a shot or a pair of javelins. 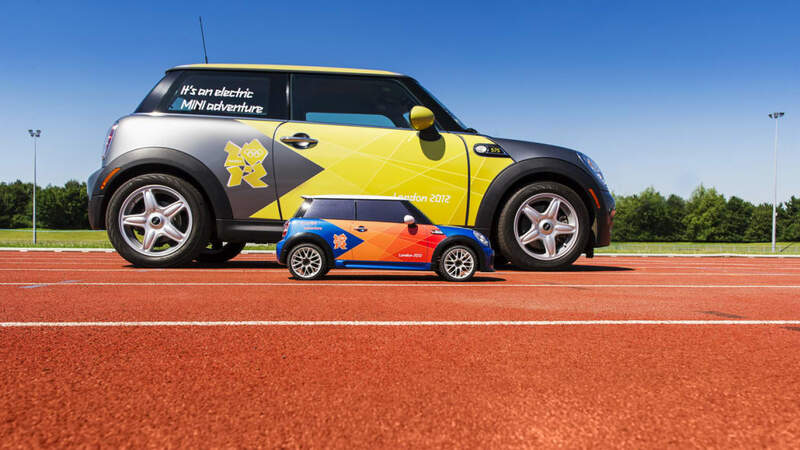 The cars' large scale also helps them pack the larger battery arrays that Mini says are necessary to run them for 35 minutes (before being down for 80 minutes of charge time). The models are painted blue with orange Olympic livery and white roofs, and they even have working headlights. 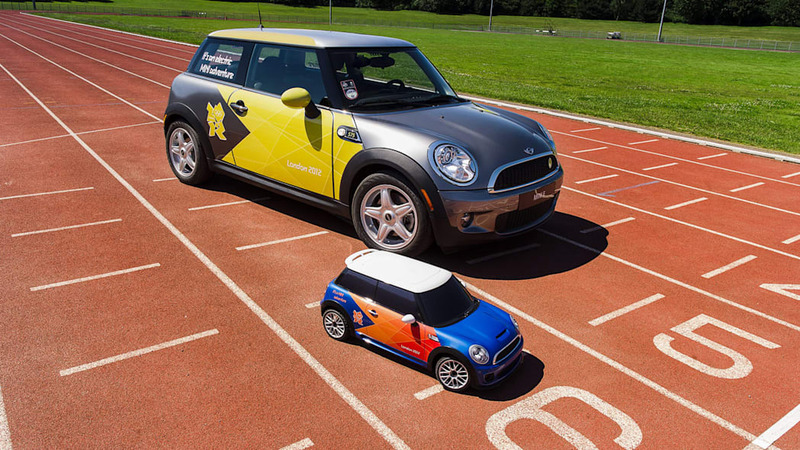 The Mini MINI R/C cars will be used at both the Olympic and Paralympic games, and they join a fleet of 160 full-size BMW 1 Series Active E models and 40 Mini E hatchbacks as part of BMW's own all-electric Olympic team. 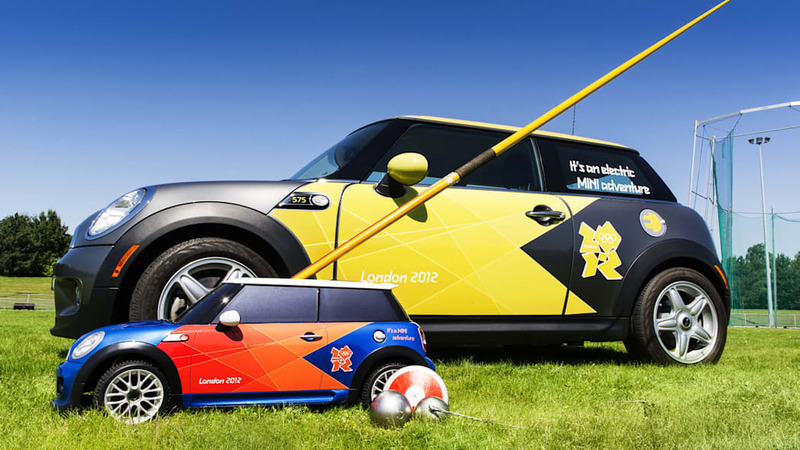 While we're a little surprised Mini didn't choose to go with a Clubman or the load-lugging Countryman like we did in our recent giveaway, we think the marketing stunt fits in well with the brand's fun and funky spirit, and we're hoping that Mini publishes some video footage of their little helpers in action soon.